The first item I have put on my Autumnal wishlist is this New Look knitted jumper. I love the different colours in this jumper. I haven’t actually bought anything from New Look for a while. I think that’s because I didn’t really like their summer range but now I have been in a couple of times more recently and they have so many cute outfits! You can view the jumper pictured above here. 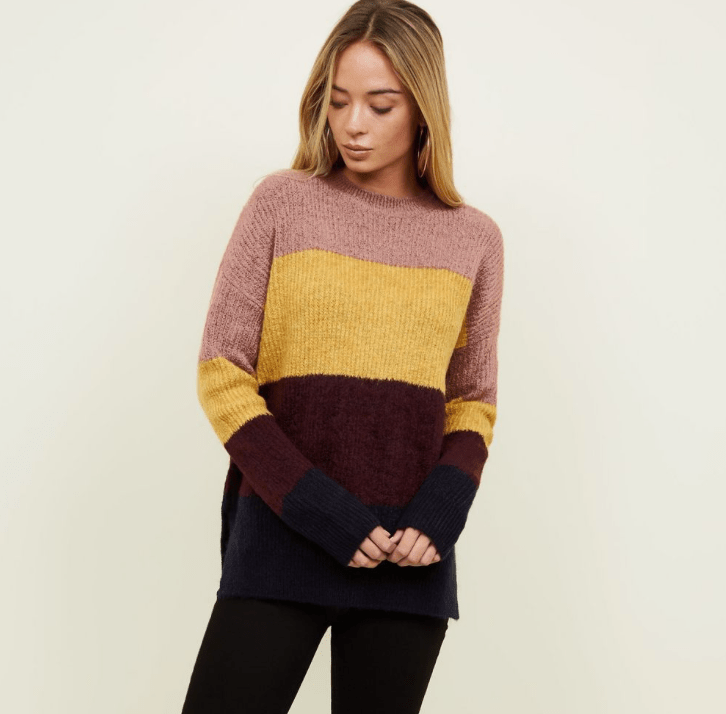 The next item I have on my wishlist is another jumper but this time from the shop Oliver Bonas which is a bit more expensive but I just love this jumper SO much. 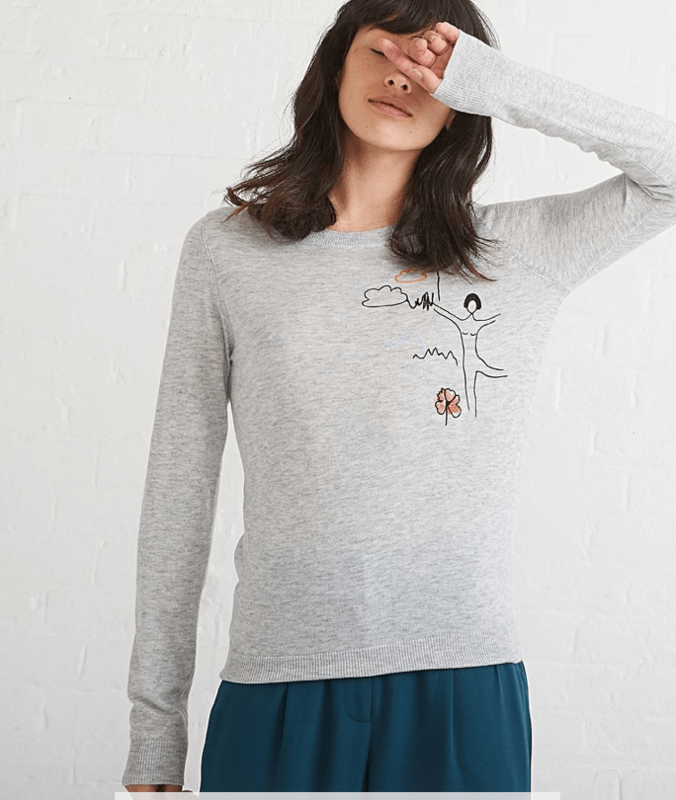 Even the name of this jumper is so cute “Dancing Daydream”. It is selling for only £25 at the moment which if you know the brand you will understand that is pretty cheap! I would go and order this jumper right now but they don’t have my size! I’m not sure if this is an end of line product or if they will be getting in more so I will definitely be keeping an eye out for it. You can view that jumper here. This item is also from Oliver Bonas and is a little more on the expensive side. 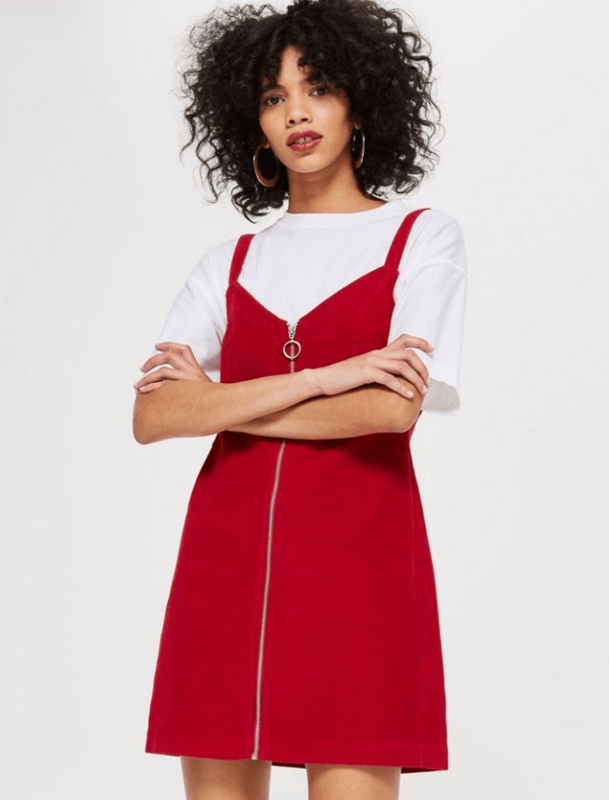 It costs £65 pounds so I won’t be purchasing any time soon as it out of my price range but I still absolutely love this pinafore dress! You can view the pinafore here. Here is a similar dress to the one above, this dress is from Topshop and a little cheaper than the Oliver Bonas dress. This one costs £34. You can view this dress here. The next thing on my wishlist are these chequered tartan style trousers from Pull and Bear. I feel they are absolutely perfect for this time of year matched up with a nice big jumper. I don’t actually own any trousers like this – my trousers are pretty much limited to jeans. I’m not very bold in my fashion choices in that regard, so even though these trousers don’t look particularly bold, they would add something a little different to my wardrobe. You can see them here. The final thing on my wishlist is this cropped jumper from H&M. I find cropped jumpers can be annoying in the colder weather but I wear a lot of high waisted jeans so cropped jumpers work well. 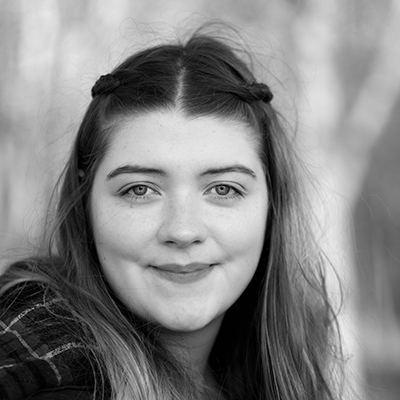 I find it’s useful to have lots of jumpers around especially this time of year because the weather changes so quickly! You can see this jumper here. Thank you so much for reading hope you enjoyed! What is your favourite place to shop at the moment for autumnal clothing? I’d love to know in the comments. Bye for now. See you next week. *This is NOT sponsored content, all opinions are my own. *All photos in this post are not mine and belong to the linked website. I am loving the Autumn range at New Look at the moment! It’s a shame the one near you shut down! 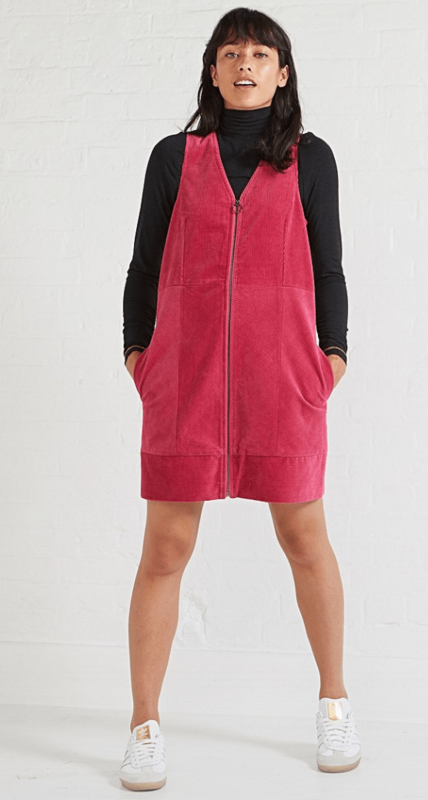 Love the Topshop pinafore dress. I ordered a load of new clothes for Autumn and I can’t wait to try them out. Ooo exciting! I love the clothes at this time of year! Hi Molly! This is such a lovely post. I love all of the items that you’ve mentioned, especially those jumpers! 😄 I really am starting to get jealous with everyone who talks about fall/Autumn cos we don’t have that here in the Philippines. Thank you so much! Autumn is my favourite time of the year I can’t imagine it not being a thing! Thank you! I love writing this kind of post! – and reading other people’s! It is so lovely! I love a corduroy dress this time of year! I love all these- especially the first jumper from New Look- the colour combo is just amazing, and soo Autumney!! Me too, New Look really have some great jumpers in at the moment! So lovely items here. I love the autumnal clothes, such lovely colours. I’m into the mustard colour at the moment, but havent purchased anything yet!! Dancing Daydream jumper is super cute! I would love to have one like that. Also the red dress is lovely as well. Great selection!